REPLENISHING ALL DAY YOGA, BRUNCH, AND FLORISTRY WORKSHOPS HELD IN CREATIVE SPACES AROUND LONDON. Xylem and Phloem are a London and Amsterdam based duo, dedicated to bringing space, warmth and flow to your weekends. 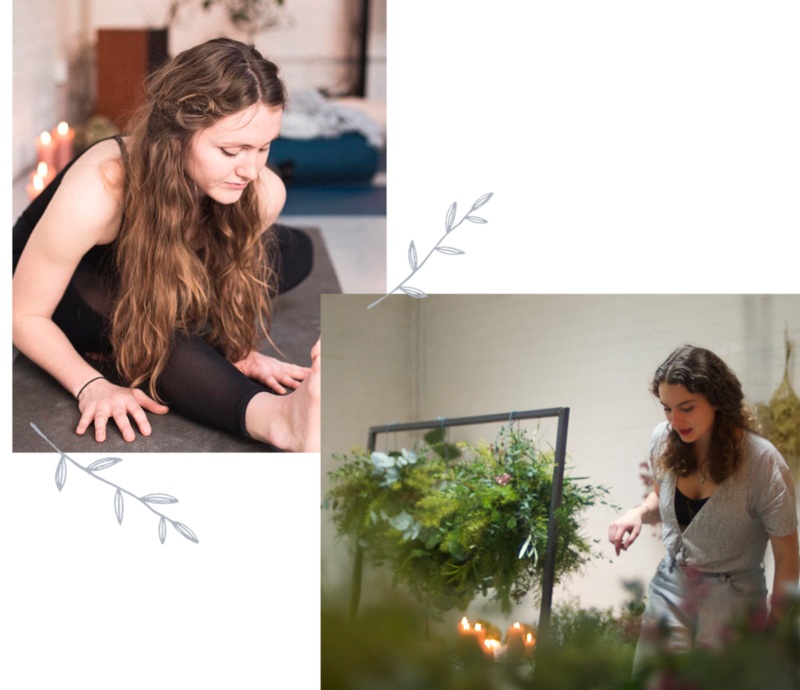 Formed by yoga and floristry duo, Tash Richards and Freddy Owen, X&P curate monthly workshops, lovingly designed to nourish your mind, body...and belly. Encouraging movement through yoga, inspiring creativity through floristry and nourishing you with delicious breakfast bowls along the way, X&P have devised a day that will leave you satiated in both body and spirit. Now also featuring guest wonders to share their ceramics knowledge. Our day retreats join together like minded, open hearted, curious ones, who often come as solo strangers and leave intertwined as friends. Set in beautiful spaces across both cities, our days start with an hour and a half of smooth flowing vinyasa yoga, breath work and meditation, always creative and always with the offer of a playful challenge. Followed by a delicious vegetarian feast, changing with the seasons and giving everyone the chance for a good old chat. Then we twirl the space into a place to create, a place to pour out your heart, and zen your mind whether it’s learning to make a hand tie bouquet, a floral disco ball, or hand building your own ceramic hanging planter. Graduating from Stretch Studio in East London, Tash teaches full time across studios in Amsterdam. Known for her fluid yet strong dynamic vinyasa classes, her classes bring a playfulness and light hearted approach to the practice, combining creative, elegant sequencing and a strong focus on calming breath. With a keen eye for posture and form in combination with her warming meditations, her class is the perfect start to the day. She can also be found on weekdays in the ceramics studio, pottering away with her own hand build creations. Florist Freddy Owen hails from the Royal Botanical Gardens in Edinburgh. Using her past experience at renowned florists Rebel Rebel, Freddy leads a variety of technical floristry workshops, from wreath building, to disco flower balls, to flower crowns… the world of floristry is your oyster.